THE TAOISEACH HAS announced that Justice Minister Alan Shatter has resigned. Reading a statement to the Dáil today, Enda Kenny said that Shatter had taken the decision on foot of the publication of the Guerin Report into Garda whistleblowers. 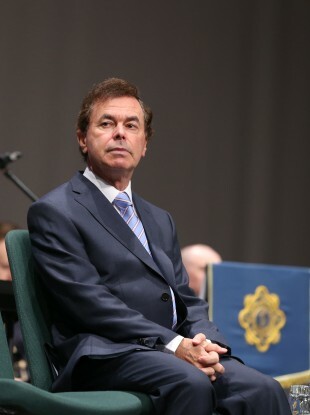 The Taoiseach said that Shatter had taken the decision “with a considerable amount of dignity” and that he had accepted his resignation with “great reluctance”. The Taoiseach said that the 300-page Guerin Report, which was commissioned to investigate the reporting of confidential information by Garda whistleblower Maurice McCabe, had made Shatter feel that it was “his duty” to resign as Justice Minister. The report concludes, Kenny said, that there was an inadequate response to Maurice McCabe’s submissions. The Taoiseach said that he had not sought Shatter’s resignation. Enda Kenny said that Shatter’s legislative achievements would “stand the test of time”. Back in February: Why is Alan Shatter under pressure – and will he survive? Email “Alan Shatter has resigned as Justice, Equality and Defence Minister”. Feedback on “Alan Shatter has resigned as Justice, Equality and Defence Minister”.